You can hear the podcast of this interview at Bloomberg's Taking Stock here. You can also read this interview from last year. Graph below is from the latter. 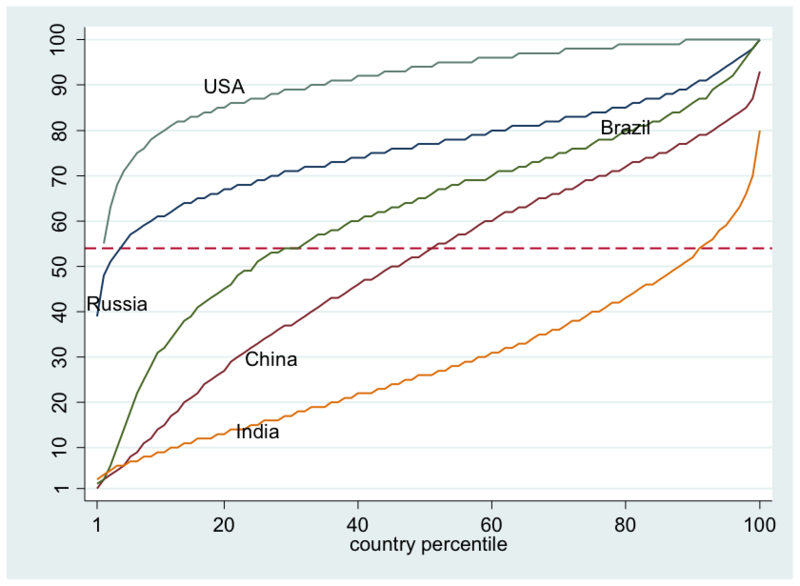 It turns out that—depending on the year and how detailed your data are—some 50 to 60 percent of income differences between individuals in the world is due simply to the mean income differences between the countries where people live. In other words, if you want to be rich, you’d better be born in a rich country (or emigrate there). 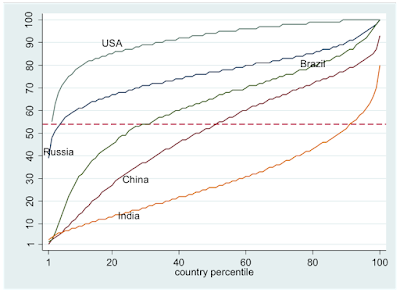 It's always good to remember that those that suggest that globalization has been good for income inequality are ultimately relying on the fact that fast growth in China and India (among others) in the last two decades or so, has lifted the mean income in these countries, and narrowed the distance with advanced economies, even if income inequality within the countries did not improve. There are other issues with comparisons of income inequality between countries, like what exchange rate should be used, but I'll leave those for another post.